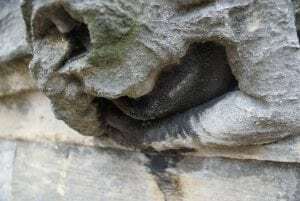 The stone craftsmanship at St George’s Chapel takes many forms, from soaring perpendicular architecture to intricate carvings both old and new. 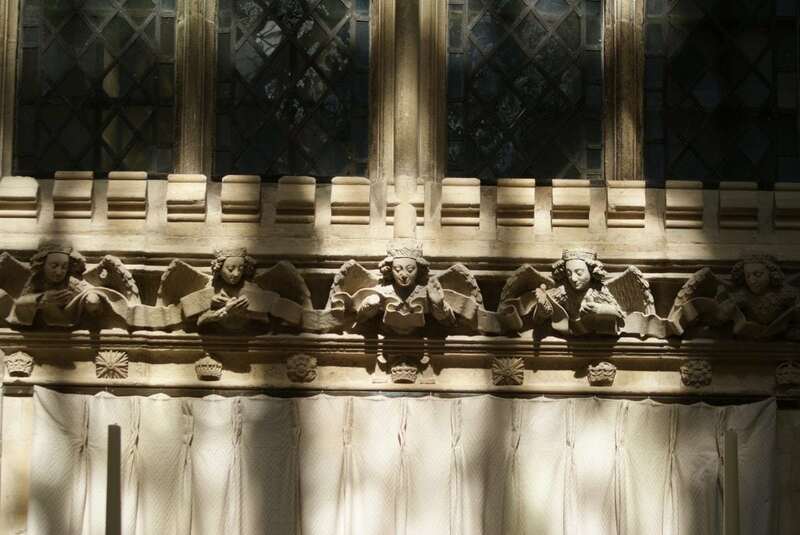 This 15th century frieze of angels is inside the Chapel and can be seen just below the level of the windows. On the outside of the Chapel a series of grotesques encircle the building at two levels. In the 19th century new carvings replaced earlier ones. Now some of those Victorian images need conservation having become damaged and dirty. 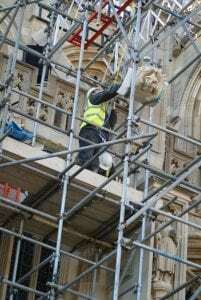 Towards the end of 2017 three grotesques were carefully conserved while scaffolding was in place for another reason. These three photos were taken before, during and after the work. 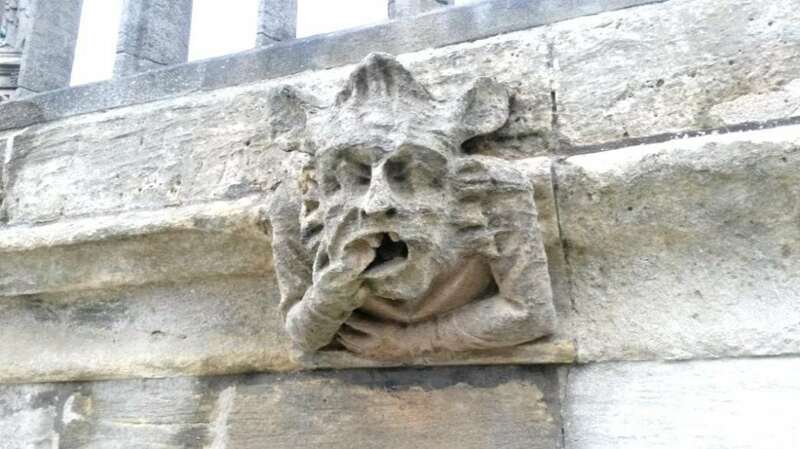 Other Victorian grotesques have become so eroded that there is no semblance of what form they originally took. A decision was therefore taken to replace them with modern grotesques. Students at the City & Guilds of London Art School have carved replacements. The first photograph shows a grotesque in the form of a phoenix being put into position a few years ago. The second photograph is a brand new carving which awaits installation at a future date. It is the devil in a boot; the sculptor took inspiration from the story of John Schorn who died in 1314 and whose bones were brought to St George’s Chapel the following century. A pilgrimage cult grew up around him as he supposedly could cure malaria and eye afflictions and also had the power to make the devil disappear into a boot. 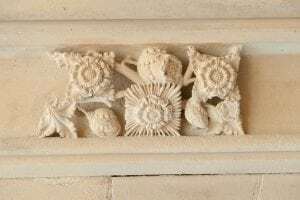 Inside and outside the Chapel are examples of fine craftsmanship from many eras from the exquisite small 15th century carvings of various plants in the ambulatory to the 1920s heraldic beasts on the roof of the Chapel. On Saturday 27 January 2018 there will be conservators on hand in the State Apartments and St George’s Chapel showing their skilled work. 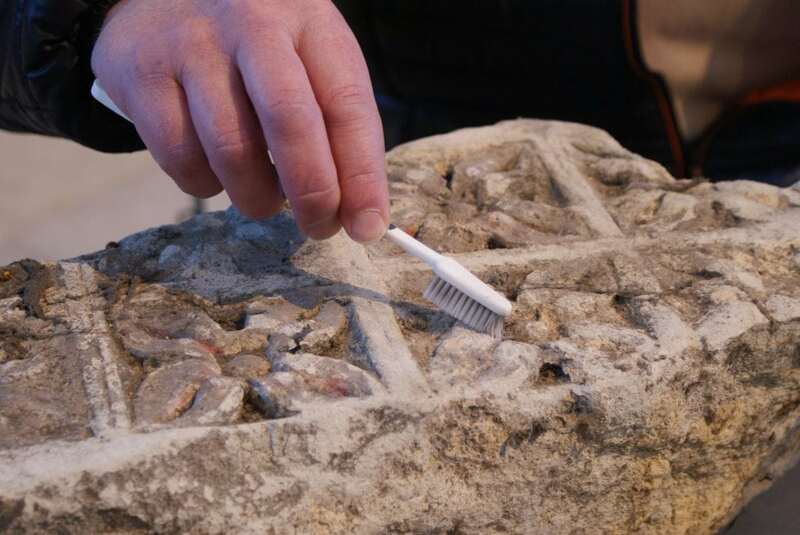 In the Chapel this will include conservation work on seals, books and documents and also stone conservation. 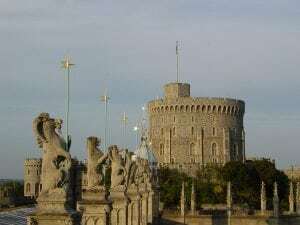 Windsor Castle admission charges apply. 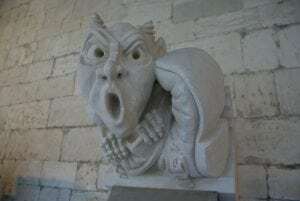 For further reading about the new grotesques you might enjoy a small book entitled ‘Imaginative Sculpture: Protecting the Sacred Space’ available from St George’s Chapel shop in the Dean’s Cloister.